Mondays on Memory Lane: HAPPY 89th BIRTHDAY LAUREN BACALL ! Mondays on Memory Lane: HAPPY 89th BIRTHDAY LAUREN BACALL ! 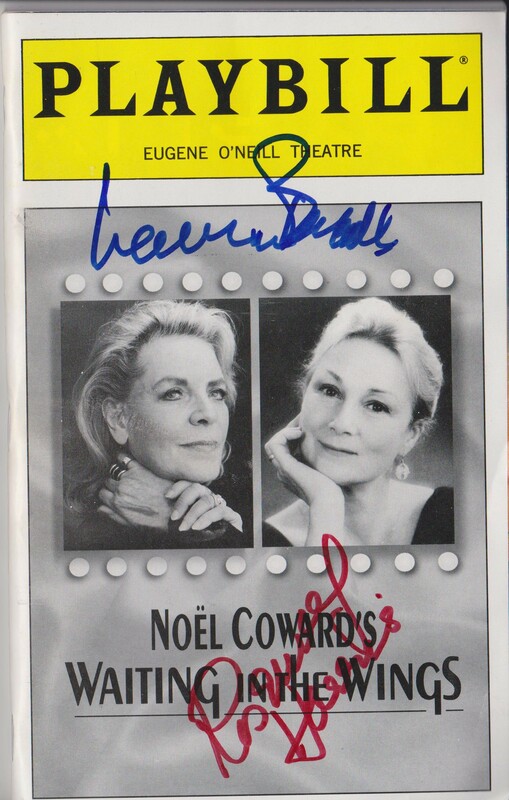 – On a cold night in May 2000, I waited by the stage door of Broadway’s Eugene O’Neill Theater in hopes of getting an autograph from one of Hollywood’s lasting screen icons, Bogie’s Baby – Lauren Bacall. Noel Coward’s “Waiting In The Wings” had drawn Bacall to the stage one last time. She still had the sleek smokey elegance, that high society feel, and of course, we were all hoping to hear the infamous smokey voice. She commanded huge crowds, still after all these years. Rosemary Harris was her co-star but Bacall caused the stir on the sidewalk and stopped traffic. At the time she was also doing a voice over for a “Fancy Feast” cat food commercial on TV. Coincidentally the ad also ran in the Playbill and many fans would ask her sign the picture of the cat. She absolutely refused, “that cat is going to haunt me,” she said. In 1987, I lived at 160 Columbia Heights on the promenade in Brooklyn Heights, and Lauren had bought the upstairs penthouse apartment for Jason Robard’s father. I had no idea she owned the upstairs apartment, it was all hush-hush. One night, I had stayed out till the early morning hours at a night club and was coming home at around 6:00 am. I took my 3 little strays onto the elevator and pushed “L” for lobby. The elevator went up, allll the way to the penthouse level. I was so pissed that at this early hour, when my dogs were in need, that we were being hijacked “up”, I decided to refuse to acknowledge the person and kept my eyes closed. As we are going down I hear a knee crack and then all of a sudden, one of the most famous smokey voices on the planet, “oh they’re so cute!“ No one else has that voice, it couldn’t be. I opened my eyes and there was Lauren Bacall playing with my dogs on the elevator floor. “Wuuwhat? ?” It was totally surreal! After our first ‘meeting’, Bacall and I would often meet in the elevator and she would play with my 3 dogs regularly. I would always try to coax her to come to my apartment to sign some of my Bacall posters, she always politely declined. “One day…” I thought. Now that time has passed, I have become a NYC tour guide and often pass her famed apartment in the legendary Dakota Apartment building on 72nd Street and Central Park West, each time holding on to the hope that I will one day get her to free willingly sign my poster. In 2011 she fell and fractured her hip. It is rumored she has made one last film at age 89 to be released in 2013 called “Trouble is my Business”. We may have to settle seeing her for the last time on the big screen, since she has become a recluse and is seldom seen in public, only seldomly seen as she sometimes comes and goes with the other luminaries from her Dakota apartment building. 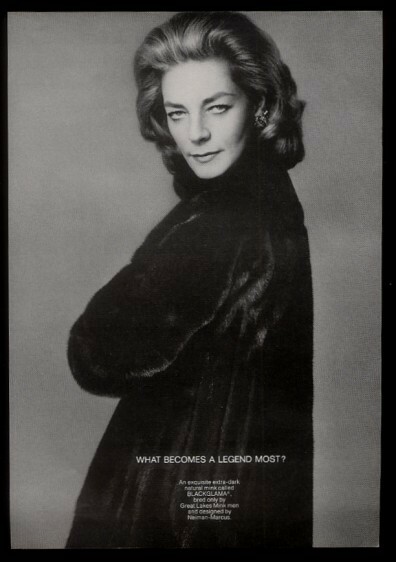 A plea – to Lauren Bacall and anyone who knows how to somehow get in touch with her, “Please grace my first Blackglama ad with your signature! It will be treasured on my wall forever.” Lauren . . . you listening? ?